Christmas eve is always special for our kids and they keep making plans for something dazzling for Christmas celebration. They got their own ideas and desires for this amazing family eve. If you will ask for their likes for this festival they will just go on with their long list. So how about surprising your little ones with a cute and colorful costume for this eve. They will love to wear traditional Christmas costumes in new styles and you will surely see many twinkles in their eyes. So explore below for some fabulous Christmas these costumes for kids at amazing discounted prices especially for you. Santa Claus is the main hero of every Christmas celebration. So if your kid is interested in becoming any angel for Christmas eve then go for this cute Santa costume. 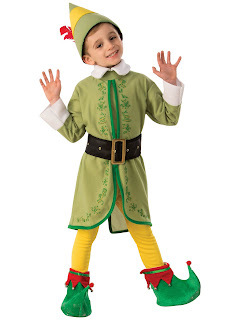 Buddy the Elf is a magical and mysterious character who helps Santa Claus in preparing for Christmas eve. Your kid will love to get dressed up like this naughty character. Get this most popular costume and gift your child with amazing memories. Girls also love to wear cute Elf costume for some extra fun. 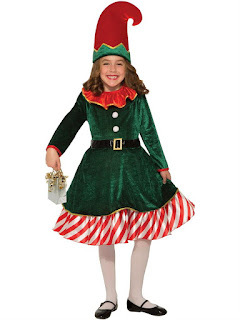 Get your girl dressed up in this green Elf costume and click photos to cherish these memories always. 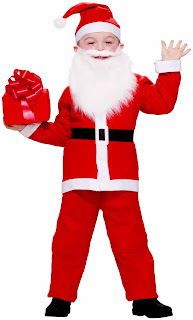 A perfect Santa Costume with complete accessory is now in front of you. Just buy this and have a real Santa at your home for whole evening. Your girl might not be interested in traditional Christmas costume then get her this Christmas sweater with full of Christmas spirit and bright red color. How can we forget Santa Claus's reindeer who pulls sleigh through night sky for delivering gifts to children on Christmas eve? Try this plush reindeer costume for your little one this year. Click on image to check whole product.